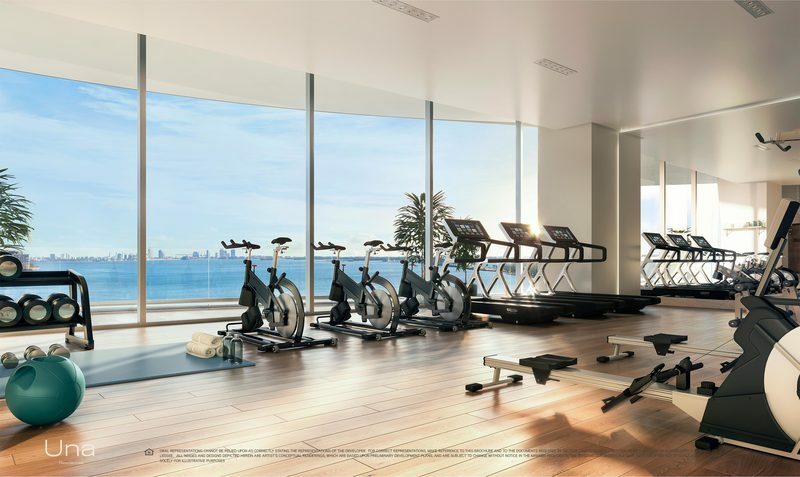 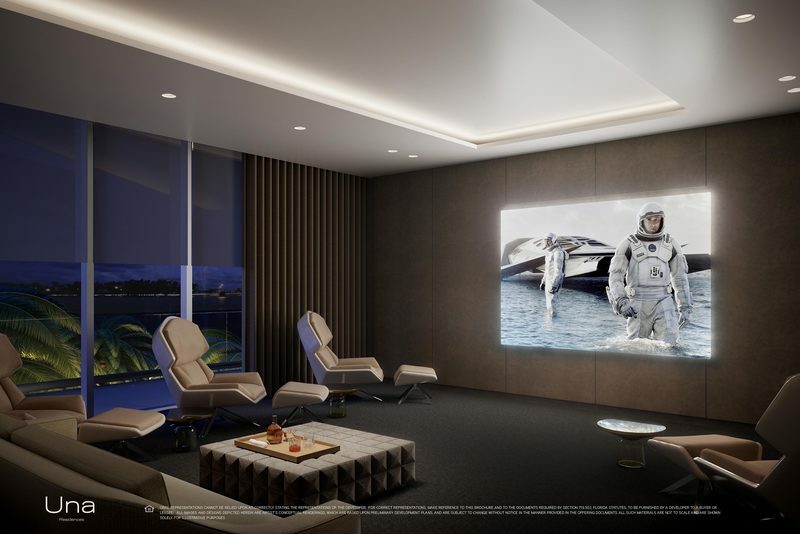 Una Residences is the brand new boutique waterfront building being built in Miami’s South Brickell neighborhood offering spectacular bay and city views. 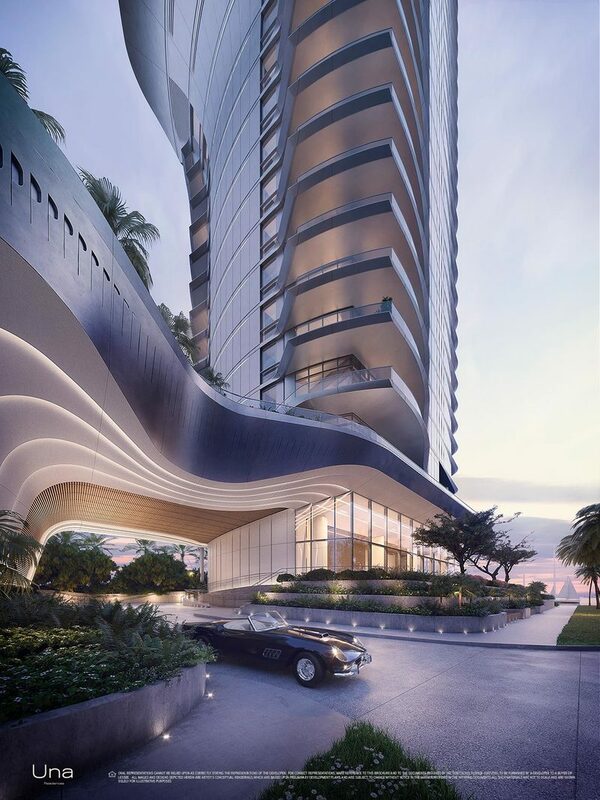 Designed by Adrian Smith + Gordon Gill Architecture, Una takes inspiration from the elegant shapes and materials of classic yacht design. 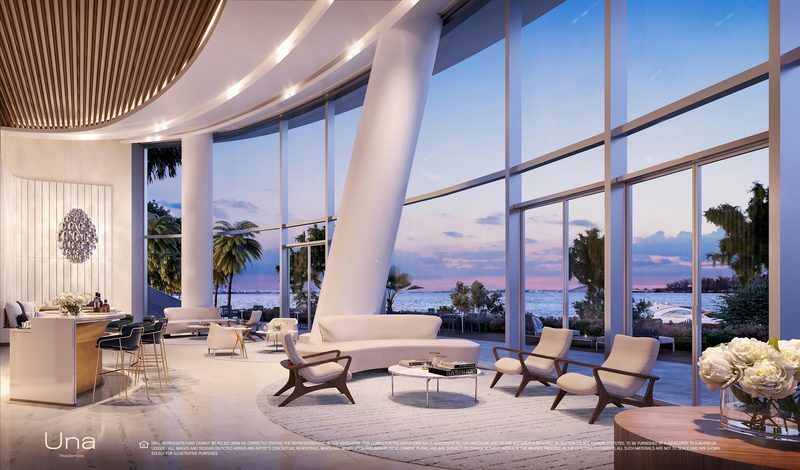 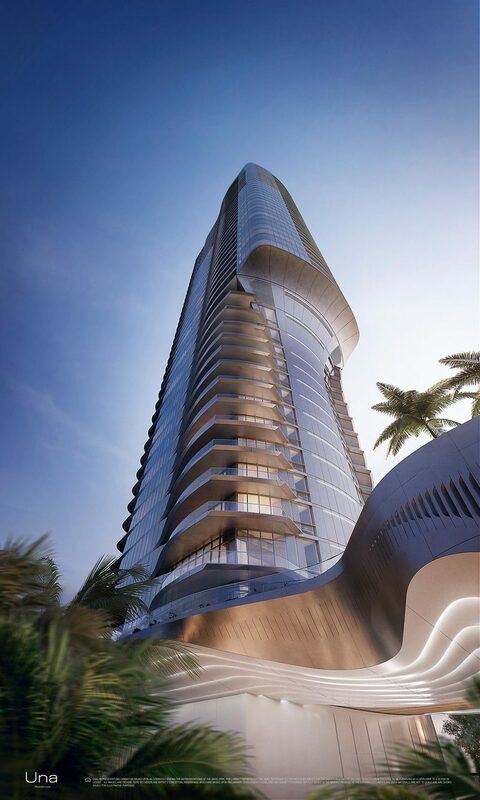 The building will be instantly recognizable by the sweeping curve of the building’s dramatic silhouette, the residences’ glass surfaces that will brilliantly reflect the dazzling sunlight, and the floor-to-ceiling windows will take advantage of a coveted setting on Biscayne Bay. 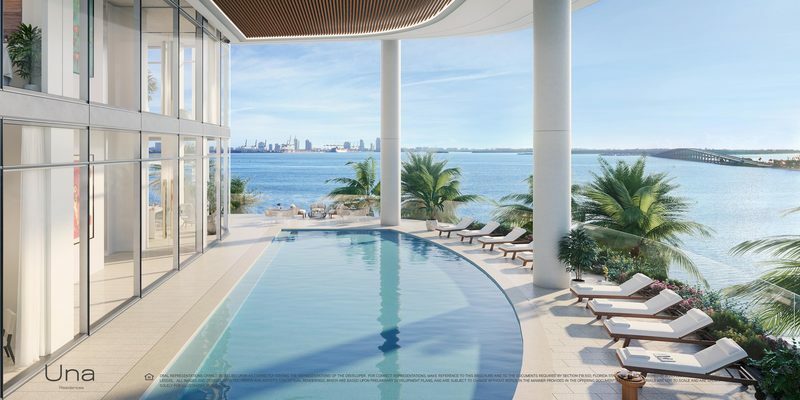 The striking architecture of the building will be complemented by lush gardens by world renown Enzo Enea, an extensive amenities program, and private boat slips. 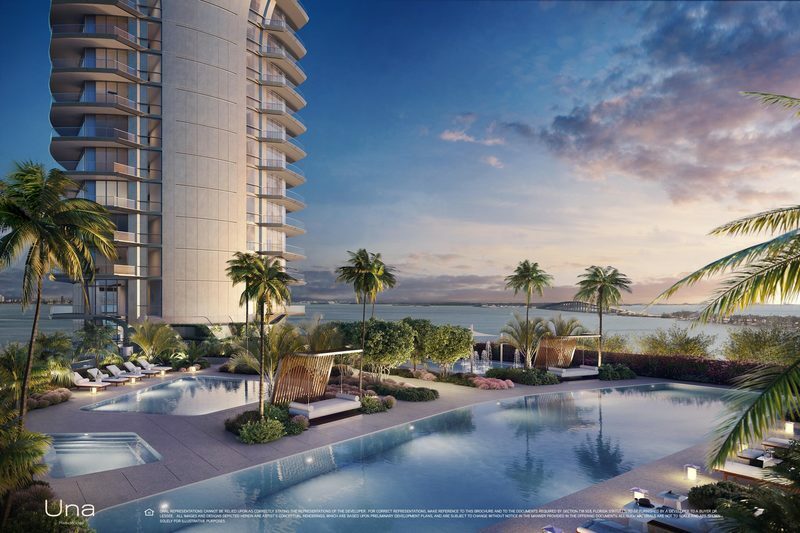 With easy access to Coconut Grove, Downtown, the Miami International Airport, and the beached of Key Biscayne, UNA is an exemplar for Miami living. 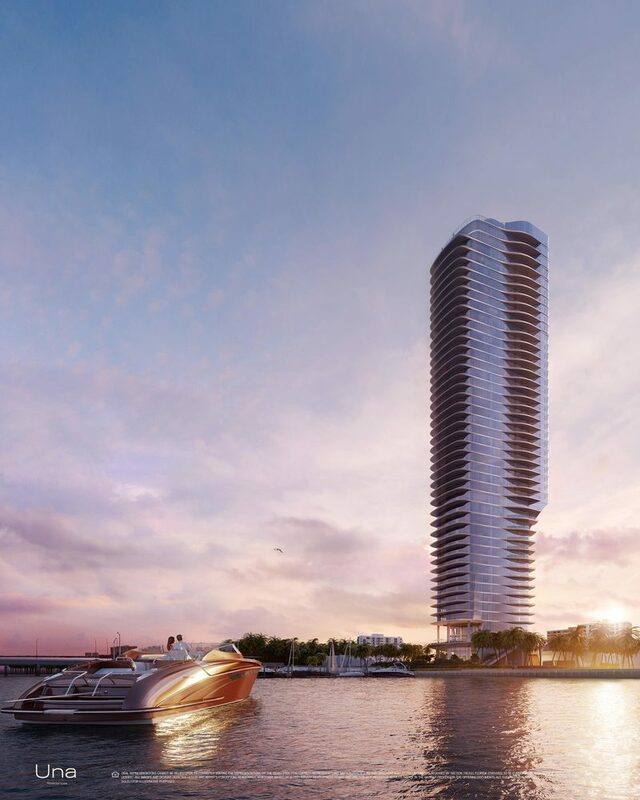 The tower will rise 45 stories, offering 135 spacious 2- 5 bedroom residences ranging from 1,100 to 4,786 Sq Ft, all with private elevator entries for each residence. 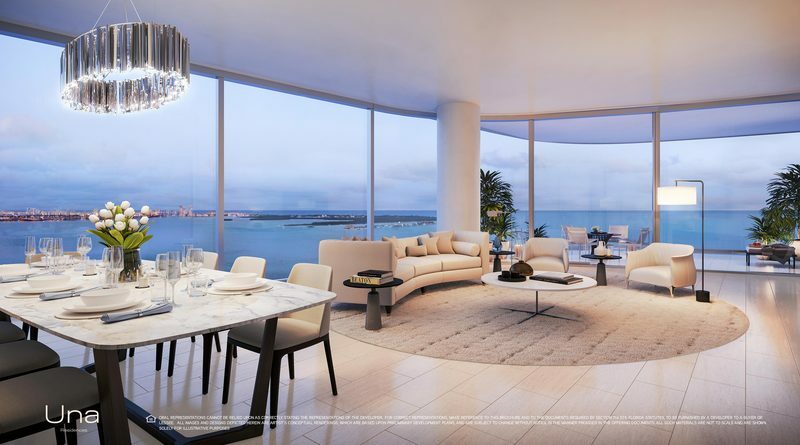 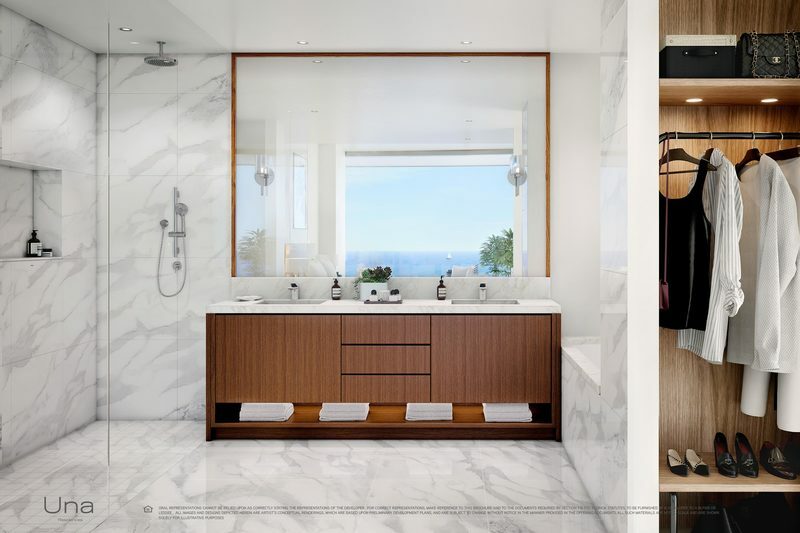 Residences will feature chef’s kitchens with Gaggenau appliances and master suites with separate his and hers closets and bathrooms.